Granite Makeover MS is a full service dimensional stone center located at 1025 McCluer Rd. Jackson MS 39212. We specialize in residential and commercial kitchen countertop and bathroom vanity fabrication and installation but offer a variety of other products and services as well. Now Specials are Available in Baton Rouge Louisiana! Call (225) 224-3390! Please call for an appointment to ensure an sales associate is onsite to assist you. We Service Louisiana too! Call (225) 224-3390! Huge Inventory Remnant Sales $19.95/SF - Material Only. We specialize In 3CM slab Granite - No 2cm or No Pre-manufactured. "My experience in working with Granite Makeover MS was phenomenal. The staff was very efficient and helpful during the entire process. I was extremely pleased with not only their competitive prices but with their ability to install the granite in a timely manner. Granite Makeover MS had a good selection to choose from and the turn around time was very quick. I am looking forward to doing business with Granite Makeover Jackson in the future!" "We sold our home and moved to the Brandon area to be closer to our grandchildren, great grandchildren and daughter in law. Finding our home was such a great joy. Finding the perfect natural stone contractor for our homes countertops was another matter. After much searching, thankfully, we discovered Granite Makeover. 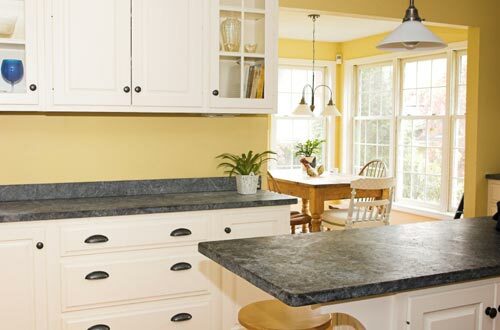 The manager of Granite Makeover MS listened to every detail and completely understood what we were looking for. Their employees were courteous during the process of measuring and installing our countertops. They made sure that we were satisfied with every piece they laid out and the finished product with the curves and ogee edges is amazing."